After selling off their electricity and gas networks to large energy corporations in the early 1990s, small towns in Germany are now banding together to buy back their energy infrastructure. Their bid to get into the energy market may provide opportunities to make money, but it also involves taking on the energy giants at their own game. The small German towns of Olfen, Ascheberg, Havixbeck, Billerbeck, Nordkirchen, Senden, Rosendahl and Lüdinghausen rarely make it into the headlines. That will soon change, however. The eight towns, located close to the city of Münster in western Germany, want to wrest away control of the electricity power supply in their region from German energy giant RWE. Last summer, the towns set up a joint publicly owned electric utility company. 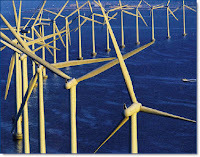 In 2013, the group, together with a partner, wants to take over the local power grid from RWE. It is a struggle that pits the municipalities, with their combined population of 115,000, against the mighty RWE, which employs 65,000 people. That local example reflects a nationwide trend. Ever since a group of public utility companies purchased the private utility Thüga from the Düsseldorf-based energy giant E.on for €2.9 billion ($4 billion) last fall, municipalities all over Germany have wanted to get into the energy business. "Every local authority which wants to act responsibly is looking into this issue at the moment," says Christian Marthol, a lawyer and energy expert with the Nuremberg-based law firm Rödl & Partner. Indeed, it has been a long time since the opportunities for getting into the energy business have been as favorable as they are at the moment. In the next two years alone, roughly 2,000 license agreements, with which many cities and municipalities put their energy and gas networks into the hands of private energy companies in the early 1990s, will expire. Back then, many municipalities, which had traditionally owned their own utilities, regarded managing their own energy supply to be too much work and too costly. Selling off their networks seemed like an attractive source of revenue. Now, however, many towns and municipalities have changed their minds. Electricity is once again regarded as an attractive investment, and electricity networks are seen as infrastructure which towns can use to make good money. Profit margins are often around 6 - 7 percent. Furthermore, buying back their energy networks offers towns and municipalities a chance to improve their carbon footprint. It allows them to buy environmentally friendly electricity on the open market, or produce it themselves, and then distribute it via their own power grids. "Many communities want to encourage the use of renewable energy and promote the construction of biogas facilities or solar energy plants," Marthol says. "Taking control of the energy network is just the first step. The second step often involves setting up a sales and marketing department and creating their own facilities for energy production." Hamburg Energie, a public utility that was set up last year, is currently winning between 50 and 100 new customers each day. The energy it distributes comes from combined heat and power plants, hydroelectric power and its own wind- and solar-energy facilities. The utility might also take over the power grid when the concession contracts with Swedish energy company Vattenfall expire at the end of 2014. 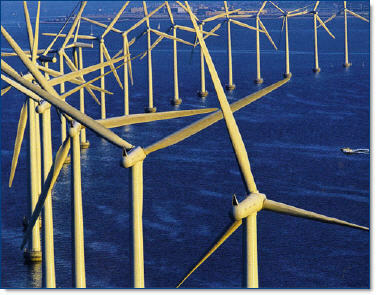 "The city is currently looking into that possibility," says Carsten Roth, a spokesman for Hamburg Energie. Conflict between public utilities and private companies will be inevitable during the coming two years. It's likely that many municipalities will choose not to extend their license agreements with the energy giants. The energy companies are therefore trying to make a bit of extra money out of the grids before they lose control of them. During the period that the private sector has controlled municipalities' infrastructure, they have invested money to expand the distribution networks. Now they are asking the municipalities to pay a financial consideration in return. In the small town of Wolfhagen in the state of Hesse, negotiations between the municipal utility and E.on over repurchasing the grid have dragged on for more than five years. In Springe, near Hanover, E.on and the town fought in court over the value of the grid. On Lake Constance, where seven municipalities wanted to take over the power and gas networks from Energie Baden-Württemberg (EnBW), it took the intervention of the Federal Network Agency, the German electricity and gas regulator, to persuade the firm to hand back control. The poker game with the energy behemoths is only one of many obstacles that municipalities have to negotiate on their way to becoming an energy provider. Nevertheless, many municipalities are determined to become players in the fiercely competitive market and are taking on the big guys, even though the energy giants have a massive headstart in terms of know-how. The energy giants are fighting bitterly to win customers. There are also legal risks that municipalities need to take into account when taking control of networks: As yet, no legal precedent has been set regarding how to calculate the actual value of a power grid. From a technical perspective too, taking over a network is no cinch. Separating the grids can be very complex and costly, explains says energy expert Christian Marthol. Additionally, municipalities often lack the necessary know-how to operate the power grid. And they will face other significant challenges. For instance, the decentralized feeding-in of electricity from wind and solar facilities is rapidly increasing in Germany. This means that the energy supply becomes more erratic, and the grid has to be able to compensate for ever-increasing fluctuations. Upgrading to so-called "smart grids" that could deal with these kinds of challenges could cost billions of euros, however. The energy giants are already warning their future competitors about the risks involved. "Municipalities that take over an electricity or gas network need to first of all pay the purchase price for the facilities," says RWE spokesman Wolfgang Schley. "They are taking on responsibility for a business that offers opportunities, but that also has technical and economic risks."